Name a snack or dessert that is in demand all year round, and you’d no doubt find “ice cream” close to the top of the list. Gone are the days when summer was the only time that we’d think of enjoying ice cream. 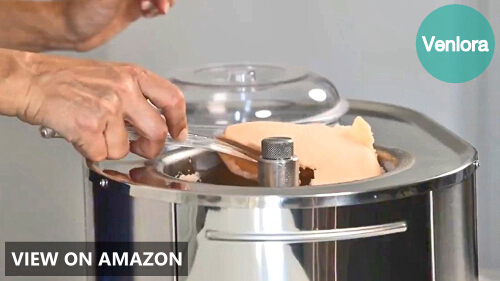 Ice cream makers have now made it possible for practically anyone to make their own ice cream to enjoy anytime and anywhere. No more hassle of going across town to an ice cream parlor or running to a store to get your quick ice cream fix. 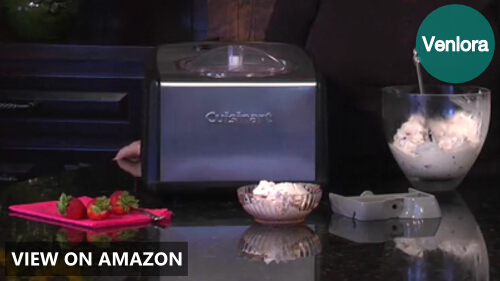 With the right ice cream maker, you can start making your own ice cream like a pro! Why Make Your Own Ice Cream? How Did Professional Ice Cream Makers Evolve? How Does a Professional Ice Cream Maker Work? If you love ice cream and you want to have it all year round, regardless of the season or time of the year, that is already more than enough reason to consider making your own ice cream. It is very convenient since you can make it anytime, in the comfort of your own home. Plus, you call all the shots on what to put in your ice cream. Ice cream isn’t really the healthiest of foods, and that’s a fact. But if you are the one making it, you get to choose the ingredients that you’ll put in it. You can control the amount of sugar and milk to add, for example, so you can still watch your diet while enjoying your ice cream. You could also have allergies from certain ingredients usually put in ice cream. If your ice cream is homemade, you can easily avoid those specific ingredients. The bottom line is that you can be as adventurous as you want with your ice cream. No more boring flavors because you can experiment, and you even get to share the results of your experiments with family and friends! If you have an entrepreneurial streak, you can even consider selling them and making homemade ice cream-making a business. That’s not all. It is also economical. Great-tasting ice cream does not come cheap, but you can cut down considerable cost by making your own ice cream. If you eat ice cream a lot, imagine how much you can save if you just stay home and make it. Ice cream-making techniques on a small scale have been practiced early on, but it wasn’t until 1843 when the first U.S. patent for an ice cream maker was issued. Nancy Johnson of Philadelphia received it for her hand-cranked ice cream freezer, which was basically a pewter cylinder. This hand-cranked machine worked by mixing rock salt to ice to melt it down but keep the temperature below freezing point and make ice cream. It required turning or cranking the attached paddle every ten minutes or so, and this needed to be done for several hours until the desired flavor and consistency of the ice cream would be achieved. In later decades, modifications on the original patent were made until electric ice cream machines finally came about. Electric ice cream makers were equipped with electric motors that powered the machine, making the paddle turn to stir the mixture (instead of turning it by hand). There are different types of ice cream makers, and each type has its unique mechanism in making ice cream. However, the basic principle remains. Mix the ingredients together continuously, then cool it until it freezes. They just go about the cooling process differently. We have identified 4 types of electric ice cream machines, and this categorization is based on the cooling mechanism each machine provides. Briefly, they are countertop ice cream machines, small freezer-unit machines, built-in freezer machines, and ice-salt coolant machines. Ideal for making small batches of ice cream at a time, a countertop ice cream maker is designed with a double-walled bowl with a freezing solution placed within the walls. The bowl is placed inside a freezer so that it freezes prior to being used by the ice cream machine. The ice cream mixture starts freezing on making contact with the frozen bowl. A small freezer-unit ice cream maker is designed to be placed inside a freezer or refrigerator, so basically, the freezing of the ice cream takes place in this freezer, which is placed within another freezer. Its ice cream-making process is generally slower because of that. In contrast, built-in freezer ice cream makers are machines with a freezing element built into its system. They can be likened to a standalone freezer dedicated to making ice cream, which is why they usually cost more and also come in bigger, bulkier sizes. The fourth type looks thoroughly old school, but many people still stand by it. Ice-salt coolant machines are composed of a canister placed inside a tub. Ice and salt are placed on the tub, and they serve as the cooling elements, while the churn and the scraper can be found inside the canister. A motor will power the rotations of the canister, and this action will place the ice cream mixture in contact with the outer tub, thus commencing the freezing process. Professional-looking and professional-tasting ice cream can only be made using the right tool: a professional ice cream maker. Fortunately for ice cream lovers everywhere, there are a lot of outstanding ice cream makers to choose from. We are listing down the best five, so feel free to pick the one that best fits your budget and requirements. 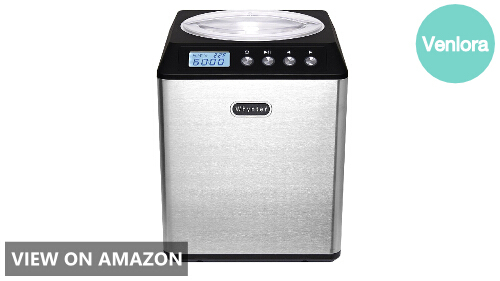 This sleek and elegant ice cream maker from Whynter will not look out of place on your countertop. With its stainless steel exterior and streamlines soft touch LCD control panel, it can easily take pride of place in your kitchen. With a 2.1 quart capacity and a cooling temperature ranging from -0.4F to -31F, you can enjoy your favorite ice cream, using your choice of ice cream recipes. 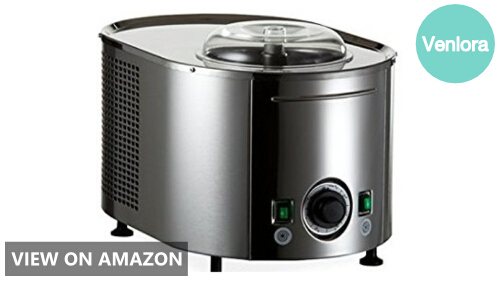 It has three modes to choose from: Ice Cream, Cooling Only, and Mixing Only, to make things more convenient. The compressor cooling is powerful, yet highly efficient, and it is also equipped with Motor Protection Function, which automatically shuts it down once the ice cream mixture has frozen solid. 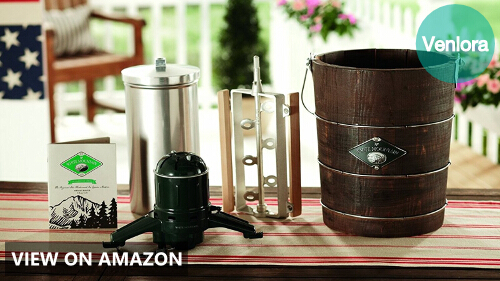 It might look rustic with the wooden bucket design, but the White Mountain Electric Ice Cream Maker is not like that at all. 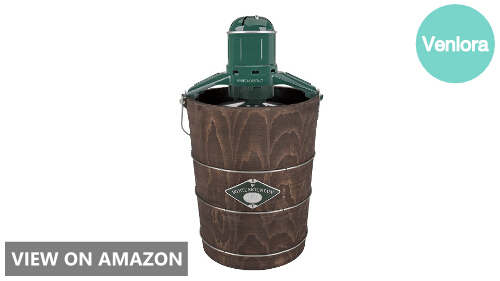 In fact, the Appalachian Series wooden bucket, made from handcrafted New England pine wood, adds character to the whole process of ice cream making. Not to worry, though, because the canister and lid are made of stainless steel, ensuring its durability and reliability. You can make up to 6 quarts of ice cream in one go, and it will only take you anywhere between 20 and 40 minutes. You’re guaranteed to get the best quality ice cream, thanks to its powerful 12,000 RPM electric motor and White Mountain’s patented triple-motion action dasher system. 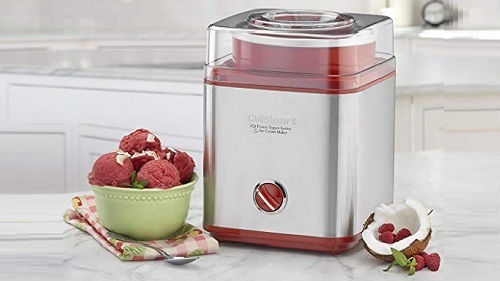 Perfect for preparing large batches of ice cream and iced desserts during parties and gatherings, this electric ice cream maker sure is a keeper. What we have here is a fully automatic ice cream and gelato maker from Cuisinart> equipped with a commercial quality compressor. This is a compact unit, with a 1.5-quart bowl, perfect for household consumption. The compressor is aided by the 2 paddles: if you want your ice cream to be creamy, you have the ice cream paddle for that; if you want to make authentic gelato, then there is the gelato paddle. 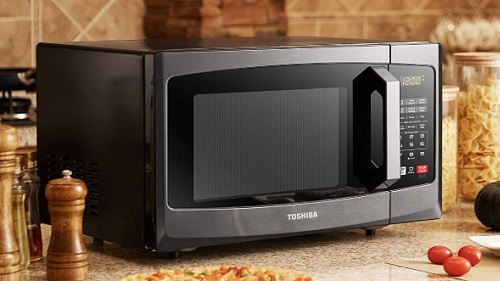 To make things easier and more convenient, it also has a 60-minute countdown timer, and a function that keeps your ice cream cool for 10 minutes after the timer has ended. Getting this Breville BCI600XL unit is one smart choice. 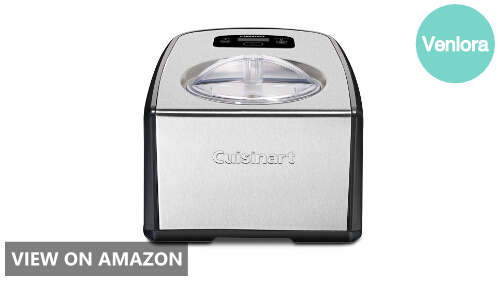 You get not just 1 but 12 automatic hardness settings, so you can also make sorbet, frozen yogurt, or gelato when a simple ice cream just seems boring. It has both manual and fully automatic functionalities, and the self-refrigerating compressor makes it more efficient as an ice cream maker. 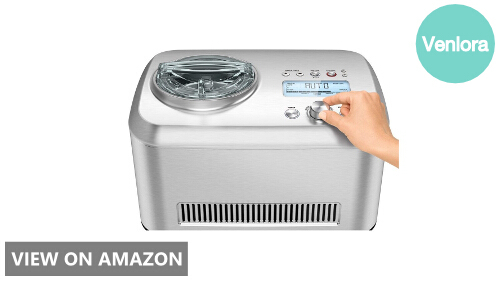 It has a timer that tells you when your ice cream is ready, and even when you’re not around when it is done, it has a setting that keeps the ice cream cool for a maximum of 3 hours. All materials are BPA-free, making it safe and free from hazardous materials. Speaking of safety, it also has a child lock, so that’s one less thing to worry about. With a 1.5-quart capacity bowl, it’s definitely a device you’d want in your home. A clear winner in our list, this stainless ice cream maker from Lello is capable of freezing up to 3 quarts of ice cream or even sorbet in an hour. Since it is fully automatic, all you have to do is to pour all the ingredients into the 1.5-quart bowl, press a couple of buttons, and it will go straight to work. Depending on what frozen dessert you are making, there are timer controls that you can easily manipulate. It looks so simple and basic, but it is actually a hard worker, you can even make frozen drinks out of it. No need to pre-freeze the bowl before making every batch because it has its own freezer. It is so easy to clean and maintain since most of the parts are made from premium grade stainless steel. If you’re aiming to buy the best and most professional ice cream maker, then you are probably ready to shell out hundreds and even thousands of dollars for one. But why should you, when you can get the same quality and performance for several hundreds of dollars less? The key here is to know what you need and what you want, more than just going to the nearest store and buying the latest model or most expensive one. You have to be really smart about this, and that’s why we hope to guide you through the process by giving you these buying tips. Beginners at ice cream-making are encouraged to test the waters first, so to speak, before going full-on and investing in a more expensive ice cream machine with more advanced features. This is for two primary reasons: simplicity and economy. You don’t want to get overwhelmed the first time you try making your own ice cream, so it would be a good idea to go for a simple countertop machine, probably one with an insulated freezer bowl and a motorized mixer. It’s very basic, yes, but you’ll get to learn and appreciate the process even more as you scale up and decide to buy a more advanced unit. It also makes sense to not spend so much on an ice cream machine if you are going to make ice cream for the first time. But if you have more money to spare and you are set on buying an ice cream machine that you can be serious about when it comes to making frozen confections, then go for it. This refers to your patience and willingness to wait for the ice cream to be done. Some units’ cooling mechanisms are slower than others most, so you may have to wait for several hours before you can enjoy your ice cream. Check the production time to be sure that you are getting the right one for your needs. In the same manner, even the preparation and planning takes some time. There are some units that do not require much planning. Just pop in the ingredients press a button, and it’ll start churning. 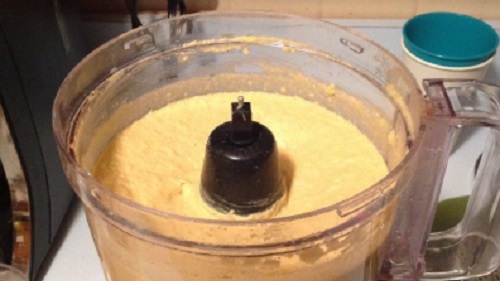 In some units, you may have to cut the solid ingredients into much smaller pieces for easier mixing. If you don’t want to be bothered with all that prep stuff, then pick one that won’t require you to. For One or For Many? Take note that the capacity of the bowl does not automatically give you the same amount of ice cream. During the process, the 1.5 quarts of mixture you put into the bowl will change when it is frozen, so that is one thing to take into consideration. If you plan on making large amounts, choose one with larger capacity. If not, maybe go for a unit that does not require waiting times or intervals between batches, so you can proceed to the next batch immediately. 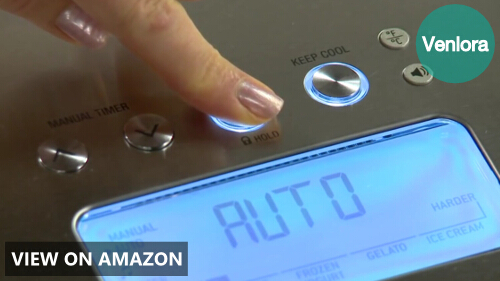 There are units that come with automation settings that allow them to give out a variety of flavors of your ice cream. In some cases, you may even add on some other specialty ingredients to make your ice cream look and taste even better. Chocolate chips are good examples and a favorite for many people. Naturally, you’d want an ice cream machine that you can show off or, at least, look pleasing to the eye. The design may not be completely indicative of the performance, but you’ll be glad to know that there are units that look good while providing good results. The size is definitely a consideration, especially when you have limited space in your kitchen. Countertop units are generally compact, so they are perfect for those who do not have enough room. If you’re going for an old-school and classic feel, those ice cream makers with wooden bucket designs would definitely look perfect as showpieces.